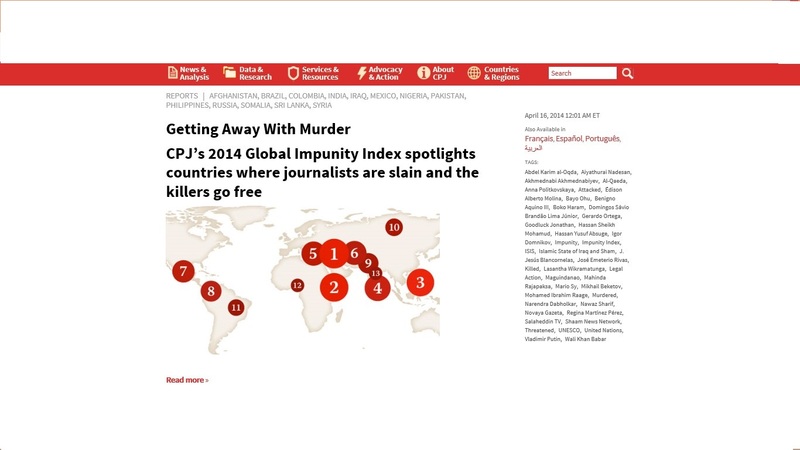 The Committee to Protect Journalists shows countries where journalist are at risk. We’ve all seen the movie “Marathon Man” when Dustin Hoffman’s character is repeatedly asked, “Is it safe?”. Lawrence Olivier not getting an answer then sadistically digs into Hoffman’s teeth as a form of torture. Today, professionals working in the journalism and broadcasting fields have to ask themselves, “is it safe?”, before venturing into dangerous areas of the world where hate, revenge and conflict rule the day. The job has always had its inherent dangers with the threat of prison sentences, injury, assassination and outright murder before every interview or timely picture. The brutal murders of media professionals James Foley and Steven Sotloff in the last few weeks by ISIS, a terrorist organization without any morals or a modicum of decency, has answered that question for many in the profession. The ISIS cowards have gone as low as to behead British hostage David Haines, an aid worker trying to help others in a war-torn part of the world. British Prime Minister David Cameron called it an “Act of pure evil.” I have other words but I won’t use them in this article. Journalists and broadcasters write history’s rough draft for authors to analyze and research later. 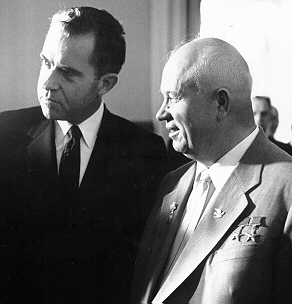 I love history and I don’t like people who try to suppress the information writers might use later. People who harass, kill, maim or intimidate journalists, videographers, photographers or broadcasters contribute to man’s inhumanity towards man in perpetuity. There’s a difference between media professionals being captured and killed purposely for an organization’s propaganda purposes as opposed to a journalist being killed in the line of getting the story. One is an accepted risk while the other is just pure calculated murder for propaganda reasons and to show the world how brutal one can be. In reality terrorists are just plain old cowards who would rather make the world a darker place rather than an enlightened one. What courage does it take to kill someone kneeling with their hands tied behind their back? I’ll answer that, none whatsoever, not an ounce. The person kneeling before the terrorist has the courage. 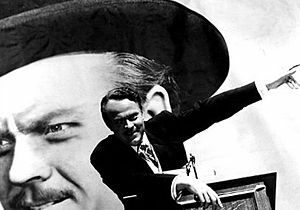 Have you ever watched a film or tape from the prohibition era, of war atrocities, or someone fighting racial inequality? If you have, you must realize someone had to be in harm’s way to capture that moment in time so a student or government representative could learn from it. Someone has to be on the other side of the lens to get it to the audience watching and reading safely in their homes. The danger that media professionals have had to endure has been around a long time. If there’s a story, a person has been there to tell it. That’s why we have history. 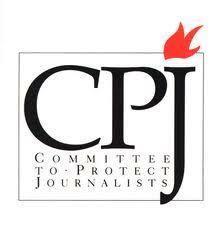 The Committee to Protect Journalists is a website that exists to monitor media professionals and how many have given their lives so we can understand what is happening throughout the world. These are statistics on those killed. More people should read this website and find out about the latest information. These courageous journalists and broadcasters have understood one truth, If evil, death, intimidation and fear hide behind a curtain, then nothing will change. Their words and pictures shine a light on these issues and force the world to wake up. Their lives will not go unnoticed. Classifying people into generations and marking them with cultural characteristics is an entertaining exercise for sociologists and academics. However, putting a particular generation into a certain box is only informative when analyzing the different world events that influenced the collective personality characteristics of people growing up in that era. The classification of generations begs the question: Is one generation better than another? Did one generation endure hardships? Did another have it easier? It’s an intellectual exercise that can generate a discussion. Since Tom Brokaw’s book, “The Greatest Generation” was published, most of the reading public have stated that people who grew up to fight WWII and endure the Great Depression were part of the “Greatest Generation.” Is there such a title-“The Greatest Generation”–One group of people who have shone brighter than any other in history. I prefer to think that each generation has had their own challenges and issues with their own solutions. Can you say that one generation is better than another because they helped achieve a WWII victory while another fought in Vietnam and landed on the moon? Another way to view the issue is: without one generation developing a particular technology the other wouldn’t have been able to achieve their significant achievements. Scholars possess different views pertaining to the yearly division between generations, usually a few years separate one list from the other. Here is a list generations with significant (but not all) events occurring during their formative years compared across generations. The above alternate generations list takes note of two generations that are usually overlooked, the Hard Timers and the New Worlders. These are the generations that ushered in the industrial revolution, built railroads and began to introduce people to technology that would save their lives such as electricity and the light bulb. If you look at history’s 20th Century Timeline, there are many events that could be listed that have influenced generations. These are some of the ones I think are significant. I welcome any other events that you think I have missed or could be included. I’ve decided to turn the tables on comedians who make jokes and one liners at the expense of Vice Presidents. Vice Presidents have a difficult job trying to make their days seem important while waiting for the chance to be at the top of the pyramid. On the surface, this list making exercise may seem easy but hold your punch lines. The selections have to be entertaining since VPs also provide entertainment to the public and the comedy circle. More than that, they have to appear as though they can take on the responsibilities of President if called upon to do so. 1. Will Farrell-If he can’t be serious, he does a good job looking serious when he needs to be. He can say stuff like, “I have many leather-bound books and my apartment smells of rich mahogany.” Besides, the government needs more Cow Bell. If you can be an Anchorman, you can be a Vice President. 8. Jim Breuer-He is an on-the-edge-of-your-seat story-teller. If you don’t believe me, search out his Pizza Man Story. He is also another Saturday Night Live alumnus and a Jersey guy, which score points on my rating scale. That’s my list. You put these together with the other list (Eight People Who Should Have Been President) and you got something that could work for America. Some people say this is an exercise in futility. I prefer to look at these lists as what should have been and what might be. We can only hope. Frankly, I’m tired of amateur comedians taking up room in the executive offices, I want professionals in there. If you have a suggestion, feel free to add your selection to the list. 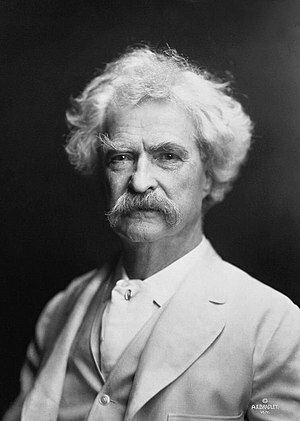 One of Twain’s best lines states this, ““Reader, suppose you were an idiot. And suppose you were a member of Congress. But I repeat myself.” When a President recognizes a problem before he begins, then he has solved half the problem before stepping one foot on the oval office carpet. He also said if you tell the truth you don’t have to remember anything. Honesty and sincerity with intelligence spiced with a sense of humor–imagine the possibilities. Mark Twain would have been a great president because he would have given entertaining press conferences. He also would have taken the job seriously enough but also laughed at the absurdity of it all. Benjamin Franklin was an outstanding writer, diplomat and forward thinker. He said, “The Constitution only gives people the right to pursue happiness. You have to catch it yourself.” Based on the written material concerning Franklin’s work and exploits in Britain and France during America’s struggle for independence, he would have been effective dealing with world leaders. The wife of John Adams was extremely intelligent and more politically savvy than her husband. In another time and another age, she would have had a chance to show the world what she could achieve. As it was, her advice to her husband during private conversations likely kept him from alienating even more people. She said once, “I’ve always felt that a person’s intelligence is directly reflected by the number of conflicting points of view he can entertain simultaneously on the same topic.” I think she was on to something there that applies toward today’s political environment. He said, “Experience will teach us that no government costs so much as a bad one.” He would have had my vote. She would have intimidated all of the world leaders. She would have known exactly what to say and to whom at the right moment. 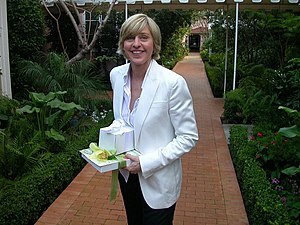 She would have been perfect. 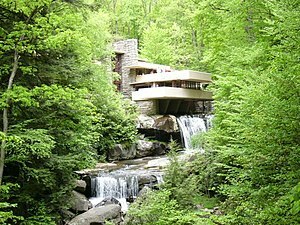 The architect Frank Lloyd Wright built spectacular buildings and houses. If he can build great structures that people admire today, then he could have helped build a great nation also. His voice was terrific. He would have delivered speeches that would have had audiences standing in awe. Convention speeches would have been must see television. From the moment you become aware of yourself as a human being, the truth begins to modify your behavior. What is the truth? Control, or lack thereof. We realize at an early age during adolescent cognitive development that, although you may have control over when you close your eyes, your parents dictate when you crawl into bed. So, who has control and why? The Government and Religion. Those are two monoliths of control that many people do not try to fight against. If you do challenge them, you may win but the consequences and price may be enough to second guess your decision. The following is a study comparing these two bastions of control. Some see man and woman as inherently evil and need to be governed. Some see man as subject to temptation and need to be guided by rules and commandments. At least 5 basic government systems (Anarchy, Democracy, Socialism, Dictatorship, Monarchy) Four main types of religions (Christianity, Judaism, Islam, Buddhism) but as many as 15 or more are practices throughout the world. If used correctly could save humankind If practiced correctly could save humankind. Many theories exist as to why people formed religious beliefs. A widely held concept states that religion helped people cope with fear and gave them a sense of control over their haphazard environment. When people began to realize that their lives were finite and that their sense of the earthly world would end, the practice of religion began to take shape and help people cope with what comes after. The daily tribal existence and group living depended on team work so that food and could be gathered, shelters built, and society fluent so that the clan or community could continue to thrive. 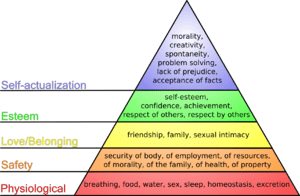 Maslow’s Hierarchy of Needs begins with the Psychological, food, sleep, and health at the bottom. It then poses that safety is the next need, getting shelter away from the dangers of nature. The next couple of needs play into both government and religion but especially the spiritual side. The psychological need for belonging to a group and receiving love and affection is purely emotional and can be strong. The other important need but toward the point of the pyramid is self-esteem and esteem from others. The need for respect, value and approval from others plays into controlling people within the community. The last need at the point is self-actualization or achieving your maximum potential. Keeping these pyramid of needs in mind, a set of belief systems along with a priest, priestess, appointed or elected head of the belief system goes a long way toward controlling and keeping order. With sets of rules to govern behavior, fertility and other aspects of tribal and community life, the control and power was firmly in place and remains to this day. As religion grew and power was taken by force or given by acceptance, religions came to understand that to deal with the other power base, government, other power tools had to be used, money and politics. So the merger and blurring of the religious and government lines is understandable. Many leaders have seen the corruption of both and have tried to separate them by trying to keep religion on one side of the community aisle and government systems on the other. One observation about religion. For something that seems so personal, there are many who need to practice their belief system among large groups of like-minded people. Government systems formed to provide services that the individual could not provide. They have been responsible for building roads, providing health care, providing security, developing educational institutions and funding science and medical advances. There is a huge trade-off for these services. The power of the government to tax the citizens. In addition to that power, they also have the authority to punish individuals, corporations and other entities who don’t pay taxes. Governments inflict several forms of control over lives. For example, the permission to drive based on taxes, registration, license, and tolls. One truth also applies to governments, they almost always get larger and more bureaucratic as they develop. With more government comes more laws-federal, state and local. With more laws at each level, the public has less freedoms and less control. What is the answer? Well, anarchy isn’t the solution. Restraint with laws and regulations while re-assessing government’s role in taxing and ruling over every aspect of our lives can be the way forward. It’s good to have some rules to govern and believe in but not at the expense of freedom and lack of control. A government’s job is to provide national security and provide essential services. It should not control every part of our lives. Think about that every time you drive on a toll road or cross a bridge with a toll. The Fourth of July holiday is approaching. Here is a top eight list of events that occurred on July 4th from the milestone timeline. 1. 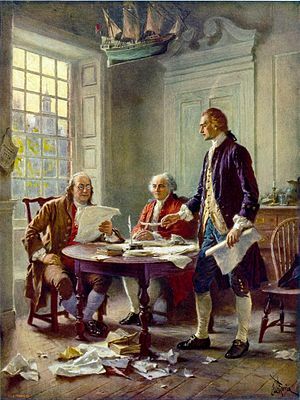 1776- Declaration of Independence-US gains independence from Britain. Without this event nothing else can happen, especially all of the family get togethers and cook-outs. 2. 1802- The US Military Academy opened at West Point, NY. 3. 1796-1st Independence Day celebration is held. 4. 1884-Statue of Liberty presented to US in Paris. Scores of immigrants saw this statue way before docking in New York. 5. 1894-Elwood Haynes successfully tests one of 1st US autos at 6 MPH. First the auto, then the highways and then the July 4th trips to destinations unknown. Road Trip! 6. 1970-Casey Kasem‘s “American Top 40” debuts on LA radio. OK, auto, highways, tunes and then ROAD TRIP!! 7. 1960-The number of stars on the American flag was increased to 50 to honor the new state of Hawaii. It took a while but we got a nice round number of 50. 8. 1826 – Former American presidents Thomas Jefferson and John Adams die, fifty years to the day after the adoption of the United States Declaration of Independence. Two stellar personalities who were responsible for building the United States passing away on the same day, hours apart, on America’s birthday. Maybe it was written in the stars!–and stripes.